Your child is special to us, and it is our desire to minister to each child's spiritual, physical and emotional needs. Our nursery will be staffed by loving, caring, workers. Our desire is to provide the most caring and secure environment possible. We wish to join hands with parents to lay a foundation of faith and trust in God. 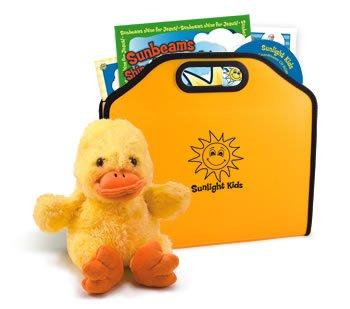 Developed with input from experts in ministry to young children and designed to deliver the message of God's love to the smallest hearts,Sunlight Kids is the perfect way to start your children's spiritual journey.Sunlight Kids offers year-round instruction using the best methods for teaching infants and toddlers.